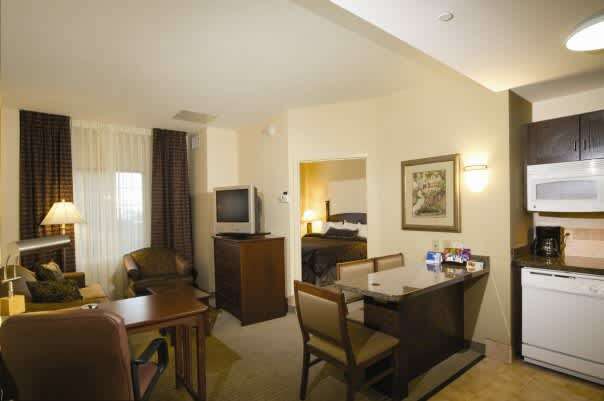 Get Comfortable at the Staybridge Suites Extended Stay Hotel Chesapeake - Hampton Roads Area, VA. 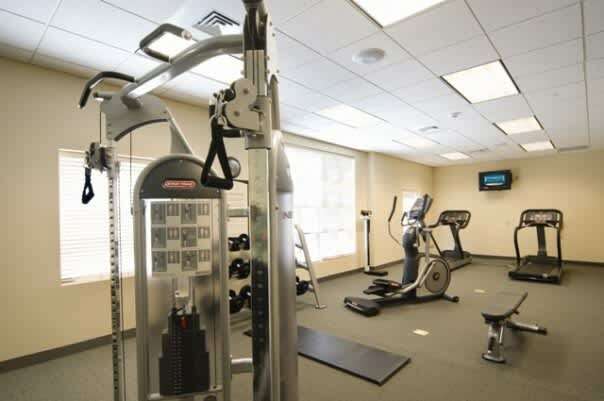 Specializing in the extended stay experience, the Staybridge Suites hotel is a perfect hotel for government (per diem), project teams, training, relocation, temporary & corporate housing. 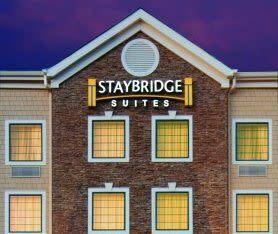 The Staybridge Chesapeake hotel is a member of Priority Club Rewards & the IHG family of brands which includes InterContinental, Crowne Plaza, Hotel Indigo, Holiday Inn & Candlewood Suites hotels. 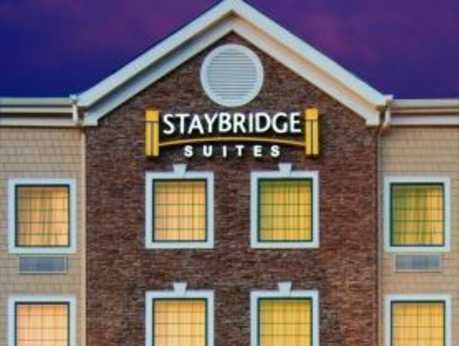 The Staybridge Suites is centrally located at exit 289A off I-64 near I-264, & I-664; minutes from Portsmouth, Hampton, Norfolk, Suffolk & Virginia Beach business districts. Our location offers access to Norfolk Airport ORF, Lockheed Martin, Raytheon, SAIC, Northrop Grumman, General Dynamics, JFCOM, US Coast Guard & the Norfolk Naval Shipyard. 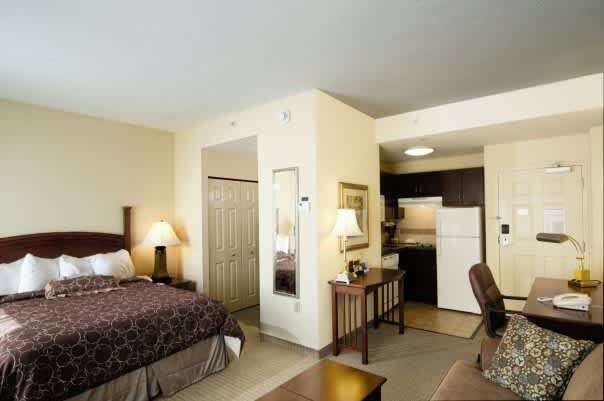 The Staybridge Suites offers apartment-style suites with the conveniences of home to meet extended stay or short term hotel needs. Our pet friendly hotel offers studio, one & two-bedroom apartment-style suites featuring fully equipped kitchens, spacious living and work areas, TVs with DVD players, free wireless Internet access. 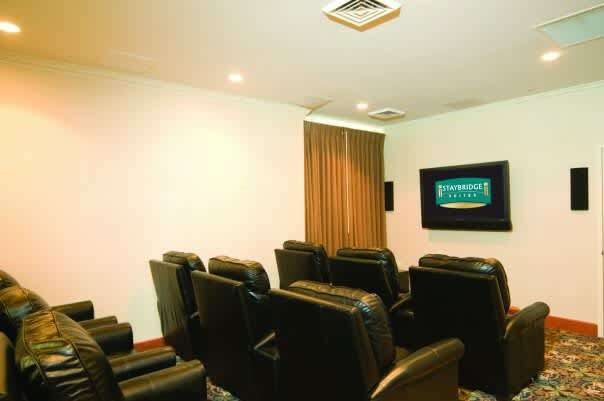 Other features include a free hot breakfast buffet, free parking business center, free self-laundry facilities, a fitness center, BBQ grills & Sundowner Receptions (Tuesday - Thursday).